I used this mask for the first time, it is My Beauty Diary Strawberry Milk Mask. It is smell so good in strawberry.. yum.. you just want to bite it. I have sweet time using this mask as you can see I lying down to use this mask. 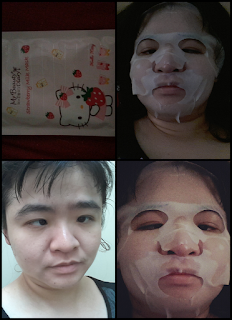 This mask purpose is whitening & smoothing, you can see above picture of me after using the mask. This mask is suitable for all skin types, especially receommended for dull and tired skin which is just nice for me as I am having PMS and feeling tired. 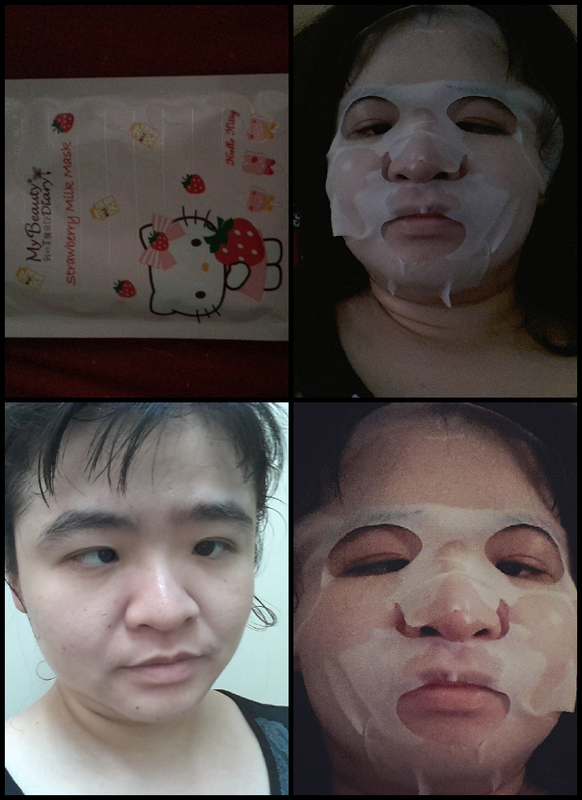 It is easy to use this mask just need to clean face first, I often wash face first before applying the mask. I leave it on face for 20 minutes, you can leave it for 30 minutes if you like. If there is remaining serum on your face upon removal of mask, gently massage this into your skin ith your fingertips. There is no need to wash off the serum just proceed with normal daily skincare routine and you may apply your moisturiser over the skin. For best results, it is better to use mask for two to three applications per week. Some people have sensitive skin will be better to perform patch test for sensitivity part, any advert reaction please stop using! Remember do not use the product over a wound or swelling.